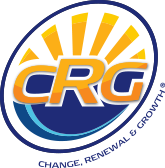 Your personal life coach will guide you through an individualized CRG program - the Change, Renewal and Growth Program for living a self-empowered life. Knowledge is gained in each phase and new thought processes and behaviour result accordingly. You are in control of your life.